Probability measures the chances that a certain event occurring. You calculate probability based on the number of successful outcomes divided by the total number of outcomes that can occur. Using a calculator makes the scientific calculations even easier. For example, when playing poker, you calculate the probability of making a hand, such as a straight or flush. 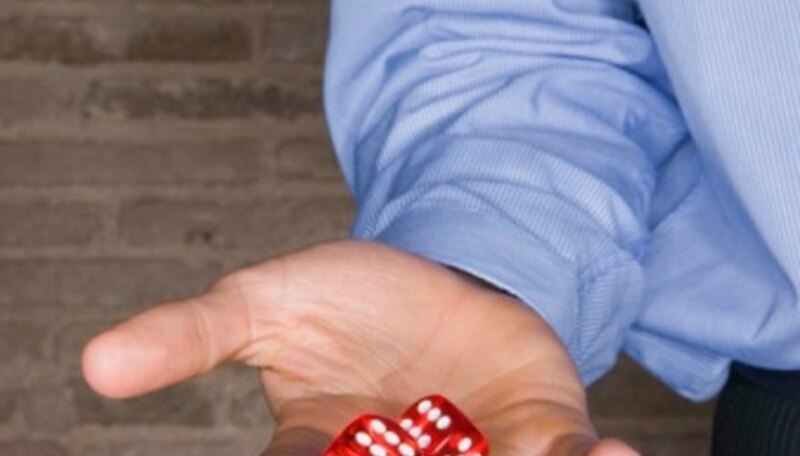 Knowing the probability helps you decide whether to call a bet because you have a good chance of making your hand or fold because the probability is low. Enter the number of successful outcomes. For example, if you have 25 balls in a bag, 5 of which are red, and you want to pick out a red ball, enter "5" as the number of possible successful outcomes. Enter the total possible outcomes. For this example, since you could pull out any one of 25 balls, enter "25." Push the equals sign to see the probability expressed as a decimal. In this example, you would see the probability of pulling one of 5 red balls from a bag with 25 balls, equals 0.2, or 20 percent. Kennan, Mark. "How to Use Scientific Calculators to Do Probability." Sciencing, https://sciencing.com/use-scientific-calculators-do-probability-8255666.html. 24 April 2017.